Eyevis, a Germany-based maker of visual displays solutions for control rooms, broadcast applications and VR & simulation, announced it will demonstrate "shippable" 55" transparent OLED modules. The new OLEDs will be on display at the IES 2016 conference (February 9). Eyevis is the 2nd retail to announce 55" transparent OLEDs. In February 2015, Planar Systems unveiled a 55" Full-HD transparent OLED prototype. Planar started accepting orders for the Planar LookThru displays in November 2015 for $14,995. The displays will ship in February 2016. 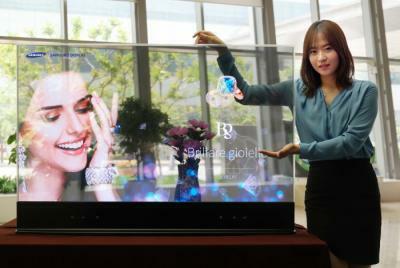 Both Planar and Eyevis probably use transparent OLEDs produced by Samsung Display.